After a few detours and many years, Brigitte Granton has the time now to do what she loves. “I feel like I’ve just started my second life,” Granton said. No one would accuse her of wasting the first one. The King City, Ontario, native raised two children alongside her husband of 30 years. She worked as a medical researcher and examined evidence in a forensic laboratory in Toronto. But in her spare time she dreamed of painting. Now, with her kids well on their way to self-sufficiency, she has the time to pursue that dream. Granton’s artistic pursuit began in earnest five years ago when she started taking her work to shows. It has been displayed in galleries over the last two years, and she’s growing in popularity. "After Glow," from the Georgian Bay. Image: Brigitte Granton. "Awakening," from the Oak Ridges Moraine. Image: Brigitte Granton. "Whispered Secrets," from the headwaters of the Humber River. Image: Brigitte Granton. "Algoma Reflections," from the north shore of Lake Superior. Image: Brigitte Granton. "Northern Sunset," from the north shore of Lake Superior. Image: Brigitte Granton. "North Superior," from the north shore of Lake Superior. Image: Brigitte Granton. "Shores of Superior," from the north shore of the big lake. Image: Brigitte Granton. 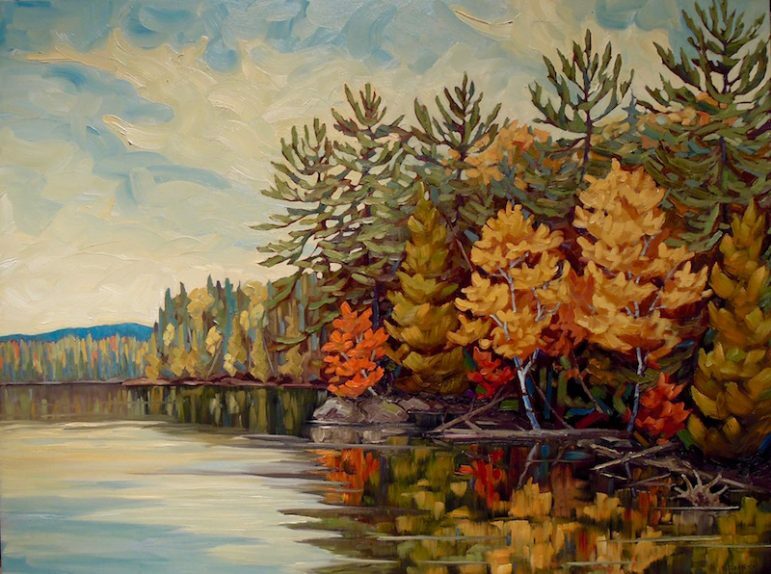 "Algonquin Reflections," from Canoe Lake. Image: Brigitte Granton. "Discovered," from Lake Superior. Image: Brigitte Granton. The daughter of an artist, Granton began painting at an young age. Growing up in King City, she fell in love with the rolling hills of the Oak Ridges Moraine, a pair of ridges stretching 99 miles along southern Ontario. She also fell in love with painting the animals that lived there. These days Granton is drawn to landscapes. She finds inspiration for her work during her daily hikes with her dog. You can see her work on display this weekend at the Spring Cottage Life Show in Mississauga, Ontario, and during the King Studio Tour in King Township, Ontario, April 22 and 23. Granton answered quickly when asked how long she plans to continue her painting career. “Forever,” she said. “This is my retirement. I plan to paint as long as I can. More of Granton’s work and gallery information can be found on her website.